In the direct comparison of the AMD Turion MT-32 with the Pentium M 730 the Turion is performance-related clearly more powerful. 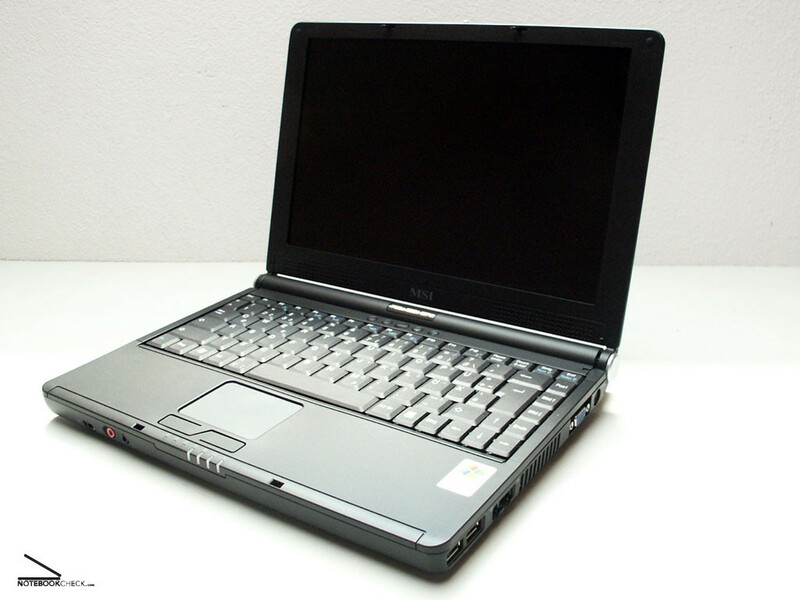 However regarding to the duration of supply by accu the Pentium M730 changes the position with the Turion. Also the ATI RS480 grafics chip brings clearly better performance data as the Graphics Media Accelerator 900 in the Megabook S260 (3DMark, Aquamark...). Despite its somewhat shorter duration of supply by accu in favor of better performance data in the comparison to the S260, the S270 is outstanding suitable for the mobile user. The Megabook S270 offers a very good mobile total concept packed into a high-quality magnesium case, which renounces good the use of ugly sleeves. Only the missing TV connection reduces the positive overall view slightly. 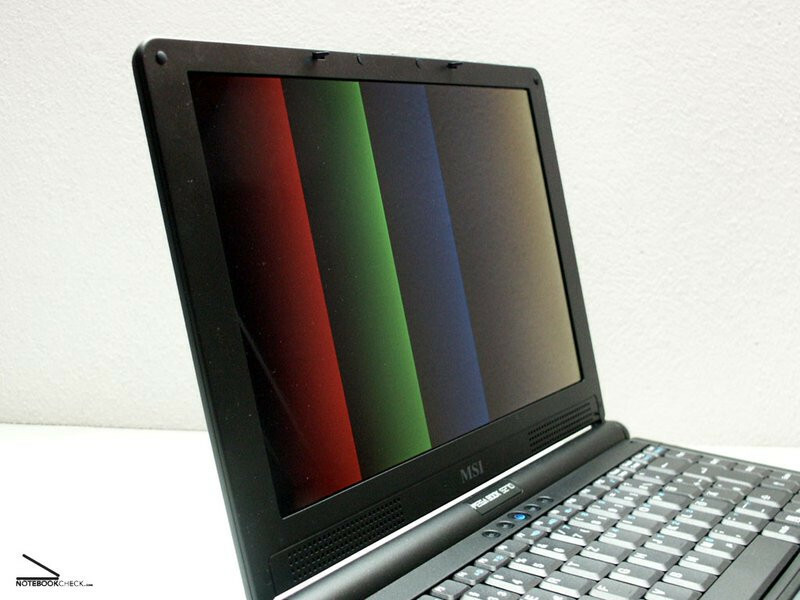 Equal as with the S260 there is delivered in addition to the pre-installed Windows XP Home version burning software, DVD software, a manual, a micro fiber cloth and an optical mouse free of charge. According to the mouse it is to be mentioned that it lies uncomfortable in the hand and rattling during vibration despite or due to the strange design. In addition large pressure is necessary for pressing the mouse keys (sorry, but I am spoiled by my new Logitech MX510). The same packing as with the S260 has to mentioned positively. 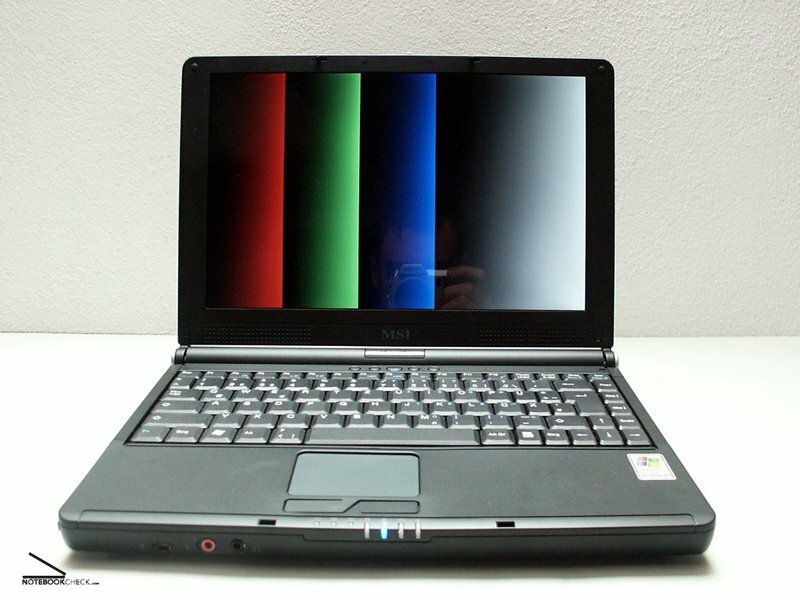 As is the case for the S260 the DVD drive assembly is the most remarkable source of noise, although another notebook model was arranged. The whirring of the drive assembly when inserting a CD only can be reduced by additional software. The noise during playing DVD's is ok as it is covered by the wished sound. The ventilator remains very obtrusive and does not disturb, although it runs permanently. Even at higher number of revolutions can not be spoken of an unpleasant noise. I evaluate the sound of the loudspeakers as o.k. Basses do not exist, however the reproduction of sounds is sufficient for a Notebook of this size (like S260). Nevertheless headphones are recommended. The position of the loudspeakers at the lower edge of the screen is the same as with the S260 and according to my opinion well arranged. The headphone connection functioned perfectly too and/or the connection of external boxes with amplifiers was no problem with an outstanding quality. Not even full load leads to a remarkable rise of heat emission. 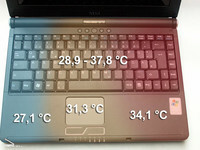 The area of strongest heating up was to be determined under the Touchpad at the lower surface of the laptop equipment with 41,9°C. 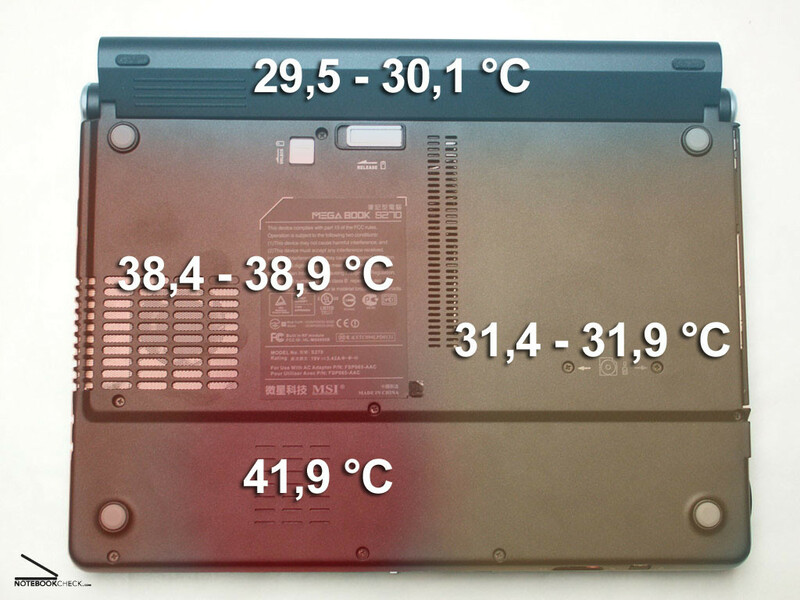 Among other things probably responsible for the good heat management is the magnesium case. Also remarkable is the permanent running ventilator. 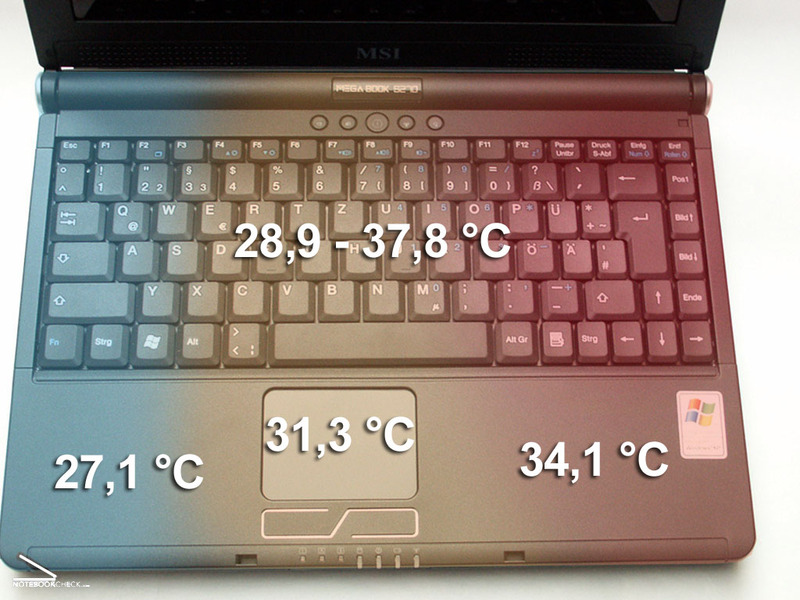 The heat air flow out of the S270 increases approximately up to 46°C under full load. Here are the measuring data of the equipment measured after approximately 30 min under full load. The timedemo Demo1 resulted in 9.6 pictures per second with a resolution of 640x480 low quality. Therefore the game is not playable. Half Life 2 was not tested. However the performance might be just as bad as with Doom 3. The timedemo benchmark with Four.DM_68 resulted in 48.3 fps. Therefore perfect playing should be possible. The values of the CPU test differ slightly from those of the Turion ML-32 (Gericom 1st Supersonic) and are comparable with those of a Pentium M 745 and 755 (1,8 - 2,0 Ghz). 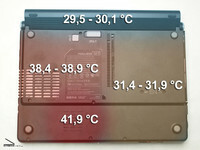 Also the ATI RS480 grafics represents an acceptable performance for an integrated grafics solution. In the power line operation the equipment needs 26.2 W (full accu). 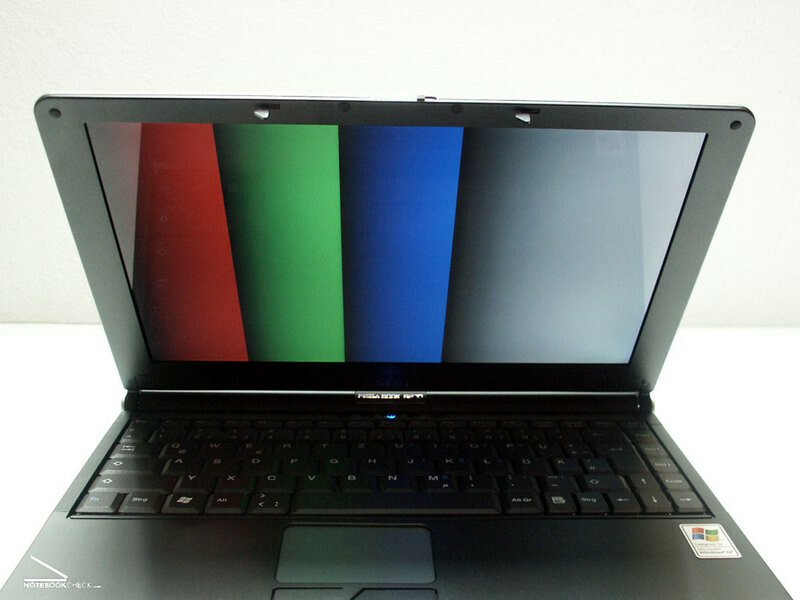 While normal operation of the Laptop as well as during loading of the Accu 69 W are needed. Our test equipment was equipped with a 4400 mAh 8 cells accu. However this is available only against surcharge. The 4 cells standard accu contains 2200 mAh. The supply duration of the accu under full load was tested with the program BatteryEaterPro. With the Classic test achieved the equipment a duration of 1h 43min. In the normal operation status we could determine a running time of 3h 15min. The time needed for the complete loading of the Akkus was about 2h. Generally a perfect working on an external monitor is possible. 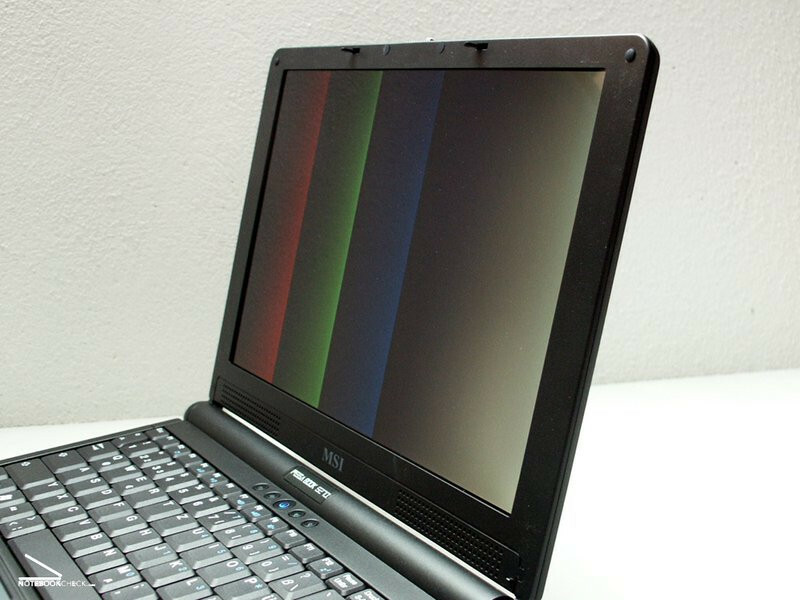 The diagram of the monitor test shows the deviating blue curve like almost all displays, which is caused by a rather warm color presentation. The representable RGB color gamut triangle does not reveal remarkablenesses. 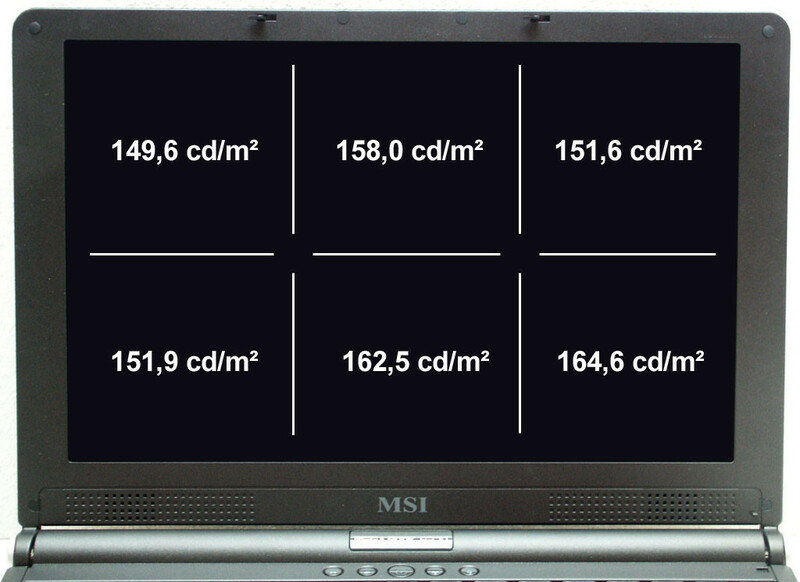 The 12.1" display in 16:10 format runs with a resolution of 1280x800 pixel. As with the S260 the strongly reflecting surface is remarkable, which proves as very unpleasant with unfavorable exposure conditions and viewing angles. The maximum viewing angle of horizontal level is sufficient, however a not optimal vertical point of view uncovers disturbing changes of colors. Unfortunately due to the strongly reflecting display working outside of a house almost is impossible. The tested creation of cloudy stains delivered an acceptable result. The test equipment is presented in an unobtrusive black magnesium case. However in my opinion due to the colour exists a lack of elegance, despite of the great design (like with the S260). The drive assembly with slot introduction is a nice new feature. Indeed the aspect of mobility has been increased due to this drive assembly, since the danger of an imminent damage of the CD drive (e.g. when serving at the lap...) is avoided. Except of the somewhat too weakly dimensioned catch hooks of the display (which nevertheless close without troubles), the case seems to be very good. Neither creaking nor wobbling nor a susceptibility for twisting can be determined. The cable of power supply apparently also changed (or it is because of the 30°C in the office to prevail here), because the excessive rigidity (S260) can not be noticed any more. 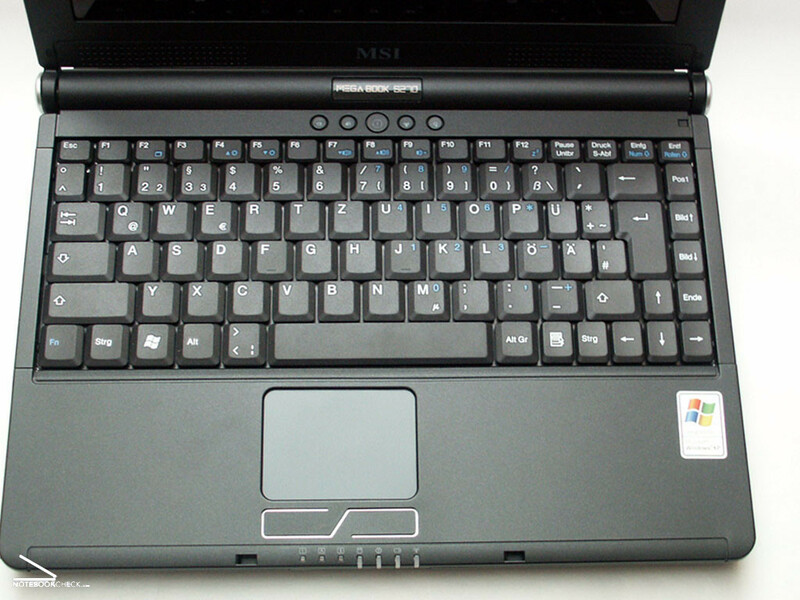 The keyboard is the same like used for the S260 and functions very conveniently. Directly compared with IBM R50p, hardly a difference can be noticed from the pressure feeling. Only the sounds created by pressuring keys (particularly at fast working) are somewhat louder. Remarkable ist the space bar, that is shifted a litlle bit to the right side. This position can cause problems when pressing by the left thumb. Typing resolutely the keyboard distorts considerably. The Touchpad reacts well, however the two keys still need higher pressure for response than it was necessary with the S260. 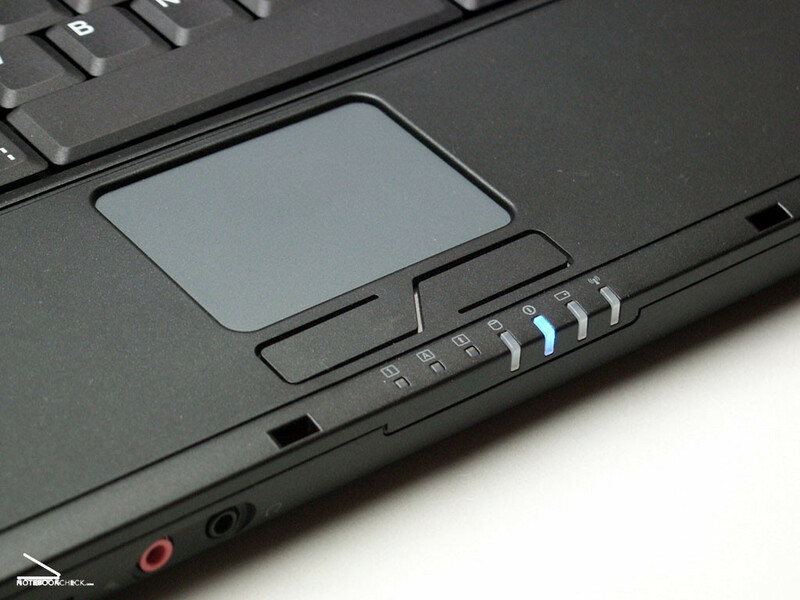 The reason for disadvantage is the new design of the Touchpad keys. Unfortunately the chance for an improvement of the equipment has not been used already. At the front of the MSI Megabook S270 a Firewire 1394 connection is positioned as well as interfaces for headphones and microphone. At left side the DVD+/ RW drive is assembled as well as a USB port. 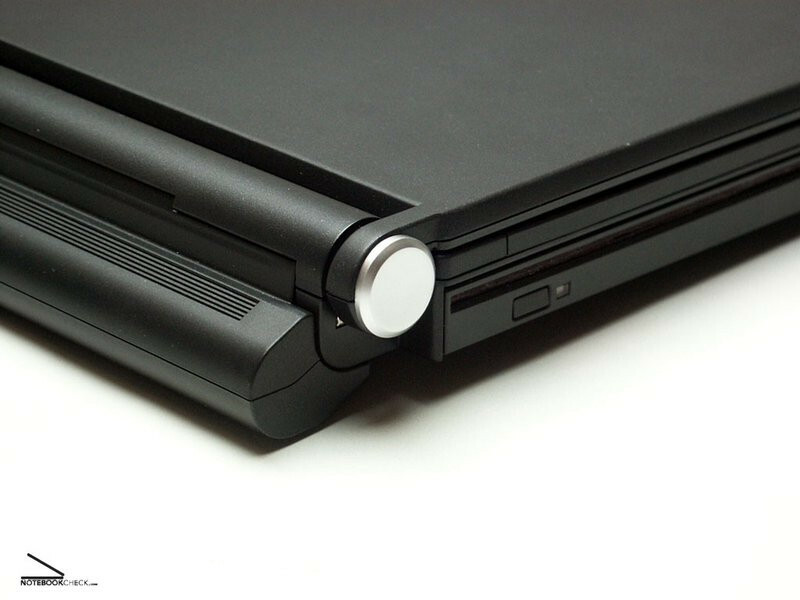 A new feature of S270 is the slot introduction of the disc drive, which creates a bit of Apple-flair. However the volume of noise is high. Furthermore a MS/MS pro/D/mm of card readers and a PCMCIA type II port are positioned at the left side. Both are protected by plastic dummies against contamination. At the right side of the equipment all remaining connections are positioned: 2 USB ports, RJ11, RJ45, monitor exit and power connection. The ventilator is on this side too. Unfortunately there can not be found a TV connection at the equipment, which must be considered as quite negative. The case hardly differs from that one of the S260 except of a few optical changes. The accu uses the complete back of the equipment. In docked condition it inclines the notebook slightly forward. Since the accupack is equipped with rubber feet, a safe position (the Notebook sticks firmly on each hard ground) is granted with or without accu. 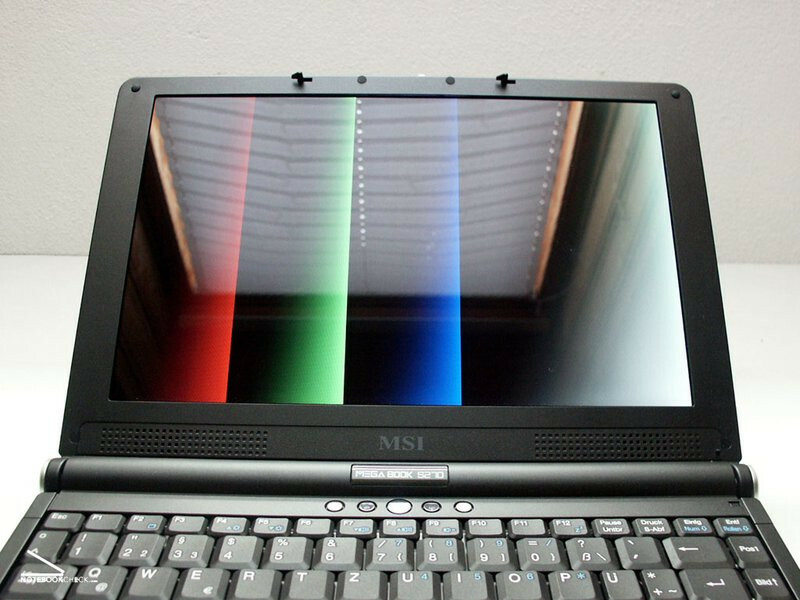 After publishing the test report MSI Megabook S260 now we had also the pleasure to test the MSI Megabook S270. 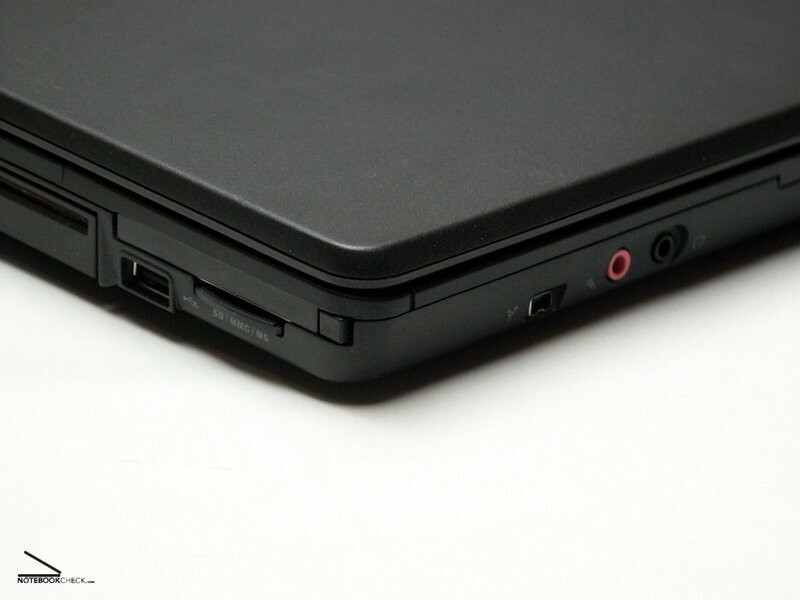 Like the S260, the S270 also is inserted in a durable magnesium case. However, contrary to its "sister", the test equipment is designed in conventional tarnished black. 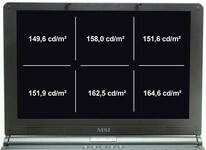 A considerable characteristic of the equipment is the AMD Turion 64 MT-32 processor with up to 1,8 Ghz.